AN INCREASING number of women of child bearing age are now occupationally active and as a result an increasing number of pregnancies are potentially exposed to occupational health and safety issues, including noise. Many people assume that the womb shields the foetus from noise but in fact various studies (such as that of 1.4 million children in Sweden1) have shown that noise, although muffled in the womb, can reach the foetus and damage an unborn child’s hearing. Actually, it is a well-known fact that sound travels quite easily into the womb and, as baby’s ears are mostly developed by the 20th week of pregnancy and start responding to sounds around the 24th week, sound is often used as a test of well-being in a foetus and by the prospective parents to start building bonds. While expectant mothers working in noisy environments may wear hearing PPE to protect themselves, the babies they are carrying remain unprotected from this physical hazard, and studies show exposure of a mother to high noise levels at work can affect an unborn child’s hearing. The only way to protect a baby’s hearing is for the mother to stay away from the loud noise as much as possible. 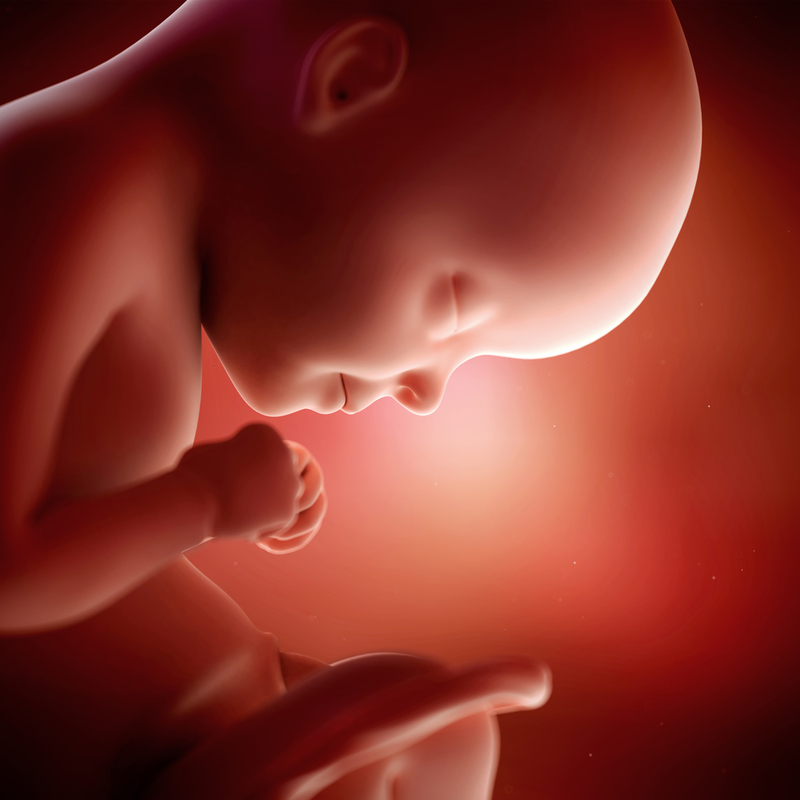 Experimental evidence from several studies suggests prolonged exposure of the unborn child to loud noise during pregnancy may have an effect on later hearing and that lower noise frequencies have a greater potential for causing harm2. Under the EU 2005 Noise Regulations and The Control of Noise at Work Regulations 2005, employers are required to assess the nature, degree and duration of exposure of pregnant workers to noise3 and where there is a risk to the safety and health of the worker or of an effect on the pregnancy, the employer must adjust the working conditions of the pregnant woman to avoid exposure. There is currently no such recommendation to reduce the noise action limit for pregnant women in the UK. The Swedish study, undertaken by the Karolinska Institutet, analysed data from a cohort of 1.4 million children. The data collected looked at the mother’s occupation, shift profile, age, body-mass, smoking habits and socio-economic factors. The research results showed that for both full and part time expectant workers, the prolonged exposure of the unborn child to high noise levels during pregnancy effected a child’s later hearing and that low frequency noise had a greater potential for causing harm. No study has defined what ‘safe levels’ of noise are for a pregnant woman and her baby, but the authors of the Swedish study recommended that the noise action limit for pregnant women should be lower than that of other workers. Indeed, in Sweden the Swedish Work Environment Authority recommends that pregnant women should avoid noise levels over 80dB(A). The study also recommended that expectant mothers should not be exposed to work environments where there is a risk of sudden very loud impact or impulse noise for fear of startling the mother and potential cochlear damage in pre-term babies as their hearing is more sensitive. Further evidence for this comes from experimental studies in the Canadian province of Quebec4. Here the regulated daily noise exposure limit for all workers, including pregnant women, is 90 dBA-8h. Studies of 131 children whose mothers worked while pregnant in noise conditions ranging from 65-95dB(A), suggested that this limit is not sufficient to protect an unborn child’s hearing, particularly in cases of low-frequency noise exposure. The results showed a three-fold increase in the risk of the children having high-frequency hearing loss when their mothers were exposed to noise in the range between a Leq of 85 to 95 dB, and a significant increase in the risk of hearing loss at a frequency of 4000 Hz when noise exposure also involved a strong component of low-frequency noise. As we know exposure to excessive noise can cause other health effects in all people; it is currently connected to health impacts such as increased blood pressure, stress and tiredness, heart disease and diabetes. Stress in particular is recognised by the medical community for causing changes in a pregnant woman’s body that can affect her developing baby. There are also some studies5 that say that women exposed to 80dB (A) over the duration of a work shift were at increased risk of premature delivery and low-birth-weight children. Therefore, there is still an essential requirement for pregnant workers to wear hearing protection. Under EU 2005 Noise Regulations and the Control of Noise at Work Regulations 2005, there is a legal obligation for employers to regularly review general workplace risks, including for noise exposure, to ensure no harm comes to their workers. Separate risk assessments for women of childbearing age and expectant mothers are not legally required, instead the guidance is that they should be considered as part of, or as extensions to your regular overall risk assessments. And as such, your hazard control measures should include appropriate measures to prevent harm to pregnant women and their unborn children. Our further practical advice is that if an employee notifies you of their pregnancy you should check your workplace risk assessment to see if any new risks have arisen. If such risks are identified during the pregnancy you must take appropriate, sensible action to reduce, remove or control them as per normal guidelines, for example, this might include restricting access to areas where there is a risk of sudden loud or impulse noise, or ensuring pregnant women do not have to put their body in direct contact with a source of noise as their pregnancy grows. Avoid areas where there is a risk of sudden or impulse noise that is loud enough for someone to need hearing protection or for the mother to be startled (e.g. above the Lower Exposure Action Value of 135dB(A)). For further guidance on understanding the impacts of noise at work and the effects on your workforce please contact Pulsar Instruments. Council Directive 92/85/EEC of 19 October 1992 on the introduction of measures to encourage improvements in the safety and health at work of pregnant workers and workers who have recently given birth or are breastfeeding.